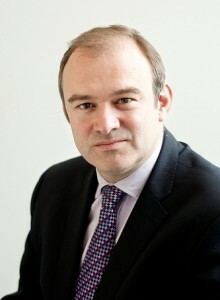 Below is the text of the speech made by Ed Davey, the Secretary of State for Energy and Climate Change, to the Eurelectric Convention held in London on 2nd June 2014. Colleagues, in five months’ time Europe’s leaders have a historic opportunity to learn recent lessons for our energy and climate change policies – and make a new start. But I’m not sure if they’ve all fully realised it yet. At the European Council this October, Heads of State have a realistic chance to bring together, at last, the key three strands of energy policy – carbon, security and price – to forge a coherent strategy, for the first time. This has happened more by happenstance than design – so there is a real risk the moment will pass without anyone realising it. So today, as well as explaining what this historic opportunity is – I want to enlist you – Europe’s electricity industry – in the task of making sure all Europe’s leaders wake up to the possibilities and grasp them. It may be thought somewhat bold, to launch a pro-European energy and climate change campaign here in London. Just after the European elections. With the debate on the next President of the European Commission raging. But – if I can persuade you to sign up today – the prize is huge. Well you should all be aware of the debates over Europe’s 2030 energy and climate change package. What our targets should be for 2030. How we can reform the EU ETS. These are vital questions – and the March European Council said they should be settled this October. This would be a critical strategic moment by itself – if it was just the 2030 climate package we have all been working on for so long. But it turns out it could be even more significant. And we have President Putin to thank for that. For alongside climate, energy security is also now at the top of the European energy debate. Just last week, the Commission’s published its welcome Energy Security Plan, building on the deal agreed by myself and other G7 energy ministers in Rome last month. This plan shows not surprisingly that there is no quick fix to tackle European energy security. We need a sustained effort, over many years. And it makes policy sense and political sense to embed a robust energy security strategy within an ambitious and flexible EU 2030 policy framework. For the political challenge in the past has not been getting energy security at the top of the EU agenda, it has been keeping it at the top of the EU agenda. In October, we could ensure that happens. But of course, climate and energy security are only two of the three pillars of a modern energy policy – the third is price. Everyone knows that energy prices are a huge issue – for consumers and European industry alike. As gas prices have risen here and fallen in the USA, the need to help people struggling with their energy bills and to do more for industrial competitiveness could not be more urgent. Yet at the moment there is no official document, no package, no process for EU Heads of State to include energy affordability in their discussions. Fortunately, I don’t think actually we need a paper. But we absolutely do need Europe’s leaders to see the links – to make the links between climate, security and price, as they reach their conclusions. Let me now deal with the detail of the European energy trilemma. To give you my account of what we should aim for in October. And my account of how the energy inter-relationships of carbon, security and price can be dealt with, together. A critical first step for Europe is to diversify – and to understand the benefits of diversity. In the UK, our whole energy and climate change policy is based on a mixed approach – to bring on all low carbon technologies. Not to pick a winner, as these technologies develop fast. But to recognise the uncertainties caused by dramatic technological change. And so to design a market-based framework which supports diversity in a low carbon world. So for us, Europe should not repeat the 2020 renewables target, which was binding on an individual member state, as that is too rigid, and for some countries too expensive. Member states must be allowed to follow the Treaty – which in effect demands technology neutrality in European energy policy. An EU-wide renewables target will continue to support these vital green technologies, without threatening the low carbon diversity we need against the threat of climate change. But we must diversify for energy security too. Eurelectric rightly notes that while 30% of EU natural gas imports come from Russia, only 5% of European electricity is fired by Russian gas. But we should not forget that many European homes are warmed by Russian gas. And as the cleanest fossil fuel, gas will become more important in the future as we transition to a low carbon economy. We will be using more gas, not less, at least in the medium-term – including using it to generate electricity. So we will continue to need to import gas, but we need to source it from far and wide. The UK has invested significantly in our ability to import liquid natural gas. This, coupled with indigenous production in the North Sea and pipelines to Norway, limit our own reliance on Russian gas. It also helps to make the UK the most energy secure nation in the EU – a point noted by the recent report by the US Chamber of Commerce. That is why the UK is pioneering shale gas exploration in Europe. And we have acted to ensure that shale exploration happens safely, without harming the environment, and provides a boost to local communities who host the resources. So shale can form part of the UK’s, and Europe’s, energy security future. Other nations need to consider their own reliance on gas from one supplier and one source and urgently adopt strategies to mitigate this in the long-term. The European Commission’s requirement for national gas risk assessments due to be submitted by all Member States on Wednesday (04 June) should provide a good base-line to proceed – and take collective action where necessary. Second, we need to produce more energy ourselves – and be far more efficient in using it. We need to accelerate the investment in secure, home-grown energy resources as we decarbonise. This will not only assist energy security, but it will aid the recovery by pinning jobs and investment into Europe – maintaining Europe’s leading position in the global green energy market worth some £3.3 trillion and growing at the rate of 4% a year. So putting the 2030 Energy Framework on the right footing is crucial. The EU ETS, is often considered the cornerstone of the European climate and energy policy framework. So any new Framework has to address the weaknesses in the ETS system tackling the large surplus of allowances that is depressing the carbon price. We cannot repeat the experience of last year’s backloading reforms. And in the UK’s view, we have to go further than the reforms proposed by the Commission. And having spoken to many of Europe’s energy ministers intensively in recent months, my strong view is that major reform of Europe’s carbon market is now possible. Increasingly people are recognising that climate change policies are not the cause of Europe’s competitiveness problem: the recent report from the IEA spelt it out: Europe’s energy price problem has been caused by America’s successful exploitation of shale gas. If we addressed that imbalance more effectively with policies such as completing the single energy market, higher carbon prices would drive investment not threaten it. But we will need more than a reformed EU ETS – to stimulate growth in home-grown low carbon capacity, the central plank of 2030 should be an EU Green House Gas target of at least 40%. We need to make use of everything nature and science has provided us – renewables, nuclear, indigenous gas supplies – and new technologies like hydrogen and carbon capture and storage. And an ambitious greenhouse gas target is the technology neutral approach that will do this – supporting carbon pricing. We will need major investment too in energy efficiency – which will also be supported by this 40% domestic European target. Building new supply is expensive so we shouldn’t miss the massive demand side opportunity. I have spoken before about the UK’s drive to create an energy saving society. The Green Deal, the Energy Company Obligation, Energy Demand Reduction, products policy, smart meters, business energy efficiency – creating an energy efficiency market with a new business model. Households are now using around a fifth less energy than they were in 2004 – saving the average consumer around £200 a year in today’s prices. By tapping the potential of energy efficiency, we estimate we can save ourselves in the UK the need to consume 196 TWh by 2020, the equivalent output of 22 new power stations. But demand measures should be judged in the same way as supply measures. How can we reduce emissions in the most cost-effective way possible? And the most cost-effective mix of action on supply and demand will be different in each member state. The EU framework needs to foster innovation and investment, not hinder it. And European policies on more ambitious energy efficiency standards offer the best way forward, to support member state work. The third area we have to act in to ensure energy security is to get our own house in order on the internal energy market. This will not only deliver the lowest available prices for our consumers, but the Internal Energy Market can be the solid backbone of Europe’s energy security. Being able to trade energy more freely between ourselves means we can maximise the use of home-grown European energy, and reduce imports from outside the continent. And to make that home-grown option a cost-effective reality, we must step up the integration and interconnection of European energy markets. So what do we need to do to make this a reality? Before I set any hares running let me be clear. We don’t need to go back to the drawing board. There are new challenges to the single energy market which policymakers do need to think through – from Europe’s various low carbon subsidy regimes to the need in some countries for capacity markets. There are some who say that we cannot complete the single market until we have somehow either integrated these interventions or outlawed them. I profoundly disagree. That is a recipe for never completing the single market. We need to get on with what we have already committed to on the single market – whilst we work through the low carbon transition that requires these temporary interventions. That means each Member State must fully implement the EU’s energy liberalisation legislation to put the legal and political frame in place. We must complete the complex technical and market framework that will allow our national networks and markets to operate more effectively together. We must facilitate investment in the physical links that make market integration possible through the Projects of Common Interest process. And we must take the action needed to integrate low-carbon electricity into the market while maintaining system stability. It is critical that Member States implement the Third Package fully and consistently. Here in the UK we have fully implemented all the Third Package provisions, committed to market integration and opened our markets fully to competition. So we are among the good guys! But I recognise that with the reforms in the UK market over the last few decades, we had an easier platform to build on. But in the spirit of solidarity, all Member States should be looking to support each other by effectively meeting all their Third Package obligations. Second, the network and markets frameworks. Network codes and guidelines must be agreed and implemented. The Commission should present formal proposals to all Member State setting out how this should be achieved. And that process should start immediately. My Department is geared up to look at the detail and see how we can implement swiftly. Our regulator OFGEM and the National Grid are primed to act. Member States, regulators, developers and the Commission should work together to ensure that the key Projects of Common Interest are built as quickly as possible. The UK has supported 6 GW of interconnection projects which would represent a 150% increase in our connected capacity. Three projects are heading for financial over the next 12 months. Eleclink through the Channel Tunnel is due to be operational in 2016. Nemo to Belgium in 2018. And NSN to Norway, the world’s longest sub-sea electricity cable, by 2020. With interconnection flourishing we need to enable cross-border participation incapacity mechanisms. The capacity market we will shortly implement in Great Britain will be consistent with the target model. And we will allow interconnected capacity to participate directly in the mechanism from 2015. We must continue to work together to learn from each other experiences, developing and sharing best practice to minimise market distortions. We should also look at ways to improve the co-ordination of National Generation Adequacy Assessments, including the contribution expected from interconnectors. And we must ensure that national measures to promote investment in low carbon generation complement the internal market. In the UK, we have designed a system that preserves the wholesale market price while providing support for low carbon investment. Our Contracts for Difference are a prime example of how such market based intervention can be consistent with the internal energy market. The Electricity Coordination Group is a good forum for working together to address such common challenges and ensure that national measures work with, and not against, the Internal Energy Market. But the Commission needs to reinvigorate the Group and Member States need to participate actively in the discussions. The three overarching issues of energy policy – security of supply; affordability for consumers; and the requirement to decarbonise – have all come into sharp focus over the last few months. The Ukraine crisis has sparked a reassessment of European energy security. The recent reports by the UN IPCC leave us in no doubt about the urgency of action on climate change. And as Europe recovers from the most dangerous economic crisis since the Second World War, competitiveness and the costs of energy are high on the agenda. Energy is at the top of political priorities, and we should seize this moment. Today I have set out a way ahead. The next few months will be crucial. Your voice will be critical. And I am determined that we find the collective political will to act.